The SOG Trident model TF-2 features a fine edge satin blade that is opened with SOG's Assisted Technology. The blade opens by itself once the operator initiates the thumb stud. The handle has a groove in it that allows you to keep the knife closed for small cutting jobs like cutting twine or cord. 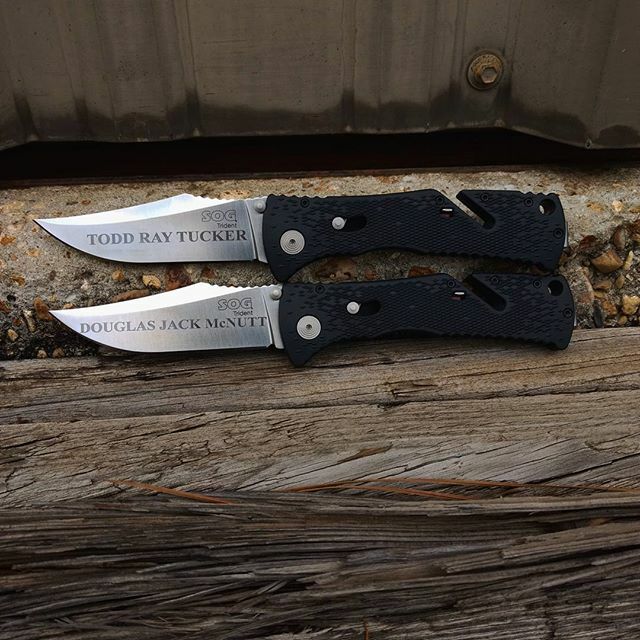 SOG Arc-Lock Technology is used to lock and release the blade. A pocket clip integrated into the handle has the SOG name carved into it. Own a SOG Trident Straight Edge Knife TF2-CP? Tell us how you like it! Got a question? Ask! Somebody will answer!